Ingredients Fresh pasteurized milk, pickled habanero peppers, bacterial culture, salt, cracked black pepper, microbial enzyme. This fiery cheese is the Silver Medal Winner for High Heat, Monterey Jack category, at the 2018 World Championship Cheese Contest. 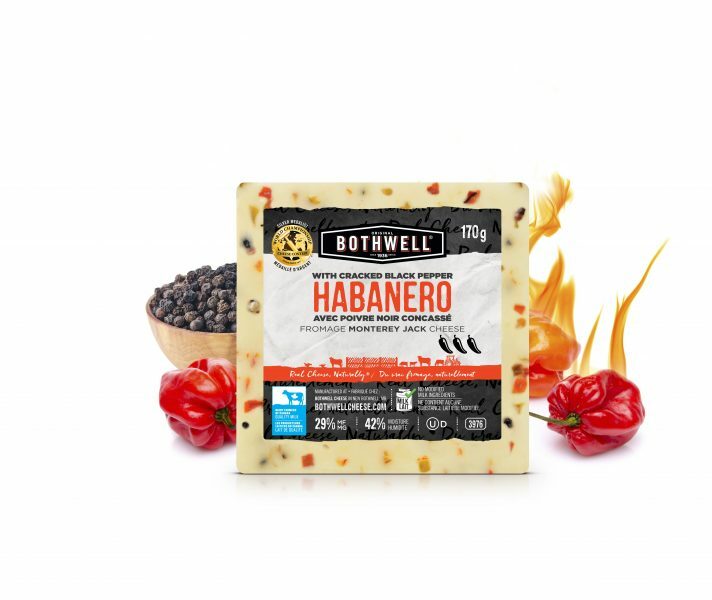 We have mixed our Monterey Jack cheese with a spicy and flavourful blend of hot habanero peppers and ramped it up with the bold flavour of cracked black pepper. 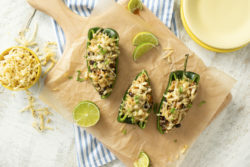 This fiery cheese is one of our spiciest blends. We’ve gathered the best snacking and entertaining combinations for this award-winning cheese so that you can feel like a cheesemonger, too. Click here for pairing & accompaniment suggestions.